Annual donations to the aid arm of this major Christian denomination ranged from $50- to $150-million. Secular competition for donor dollars, challenges within the context of other Church programs, and the wide range itself, drove the need to reposition the brand. In an era of low-growth in giving, this nonprofit wanted to tap into the giving spirit of nearly nine million church members in North America without taking away from other Church fundraising initiatives. The Church turned to McorpCX to increase the size, participation and profitability of the donors, boost awareness, revitalize relevance and increase giving. Working with non-profit leadership and the internal church marketing group, McorpCX used a four-prong research and analytical approach to gather facts and gain clear perspectives of donor, influencer and other key audience beliefs, attitudes, wants and needs. Our first goal was to gain a clear understanding of the challenges, goals and perceptions of primary internal stakeholders. Through 60 in-depth interviews with internal groups, we gathered key information on culture, image, heritage, values and other areas of perceptual exploration upon which the rest of the engagement would be based. We followed internal interviews with external interviews across four groups, utilizing our Brand MappingSM process to cover nearly every aspect of brand awareness, loyalty and position. To quantify our findings of internal and external audience beliefs, experiences and perspectives, we conducted statistically projectable research with the Church’s massive member base-across donor types, influencer groups and regions - to identify opportunities and codify perceptions of values, strengths, weaknesses and market position. By mapping both the brand and key aspects of the donor experience, this church-based non-profit was able to gain key insights into donor beliefs, and to define a territory between it and church members. A compelling and emotionally powerful brand was lost under the weight of competing and inconsistent messages to potential donors. The new opportunity for this international charity? Limitless. An unplanned and inconsistent donor experience led to knowledge gaps and overall loyalty of below 25%. 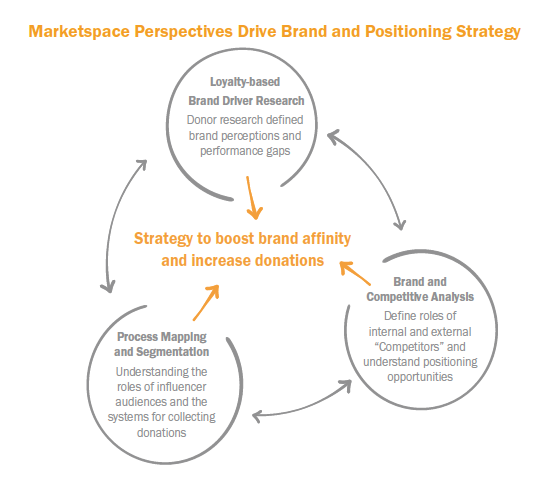 Through the multiple lenses of business goals, process, competition and audience perspectives, we leveraged Brand MappingSM research and a consultative approach to boost affinity and drive future donations. Major recommendations included adopting a newly defined brand and brand architecture, with vision, mission and values consistently articulated visually and verbally, connecting key audiences with the charity. A system for managing, measuring and improving brand equity was also suggested, including ways to monitor attitudes and interactions. And a series of recommendations was made for leveraging technology and analytics to improve marketing and relationship building efforts such as donor segmentation, donor experience management and consistent brand and touchpoint delivery. The organization has launched its new brand, with its corresponding vision, promises and more tightly defined focus. It’s also working to close “performance gaps” across the donor relationship lifecycle. 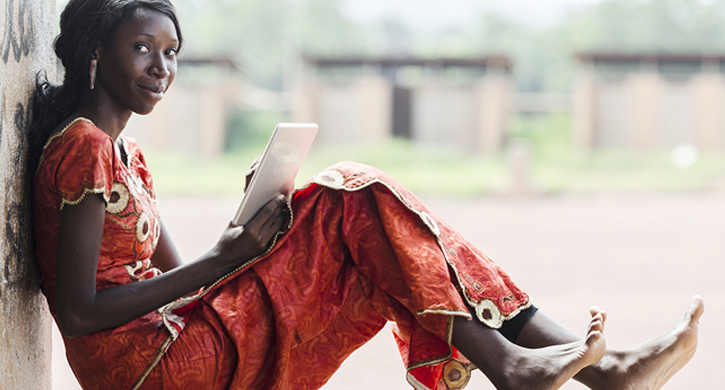 Though the full potential of brand and loyalty tracking, as well as back-end touchpoint management and delivery systems are still in development, a stronger brand and streamlined donor experience will drive higher participation, donations and increased affinity across all audiences.